The UK gambling industry is one of the most strictly regulated and heavily scrutinized industries in the country. At Lindar, we operate four online bingo sites and two online casinos, working hard to ensure the compliance of our player communications across various marketing channels. But it is our affiliate platform, OnlineBingo.co.uk, that provides our greatest challenge: to be both the first point of contact and a third-party publisher at the same time. Affiliates in every industry face a constant battle to move visitors onto an advertising partner in the most efficient way possible, while also providing enough experiential value for them to return and repeat in future. Our relaunch of OnlineBingo.co.uk in 2016 came alongside a commitment to protect the integrity of our brand with honest, unbiased, and genuinely valuable content that players can trust. As our competitors tailored the sentiment of site reviews to reflect their affiliate commission, we were fighting to establish an objective voice amongst the noise. What we didn’t account for is email providers silencing us. After strong SEO performance in the first six months, we planned to use the healthy mailing list we had accrued to send partner promotions directly into our members’ inboxes. It didn’t take long for us to realize that the low open rates we experienced were actually the result of spam folder placement and not the quality of our subject lines. Return Path Certification alleviated these frustrations and allows us to prevent further missed opportunities. After a rigorous Certification process and a thorough review of our email production and sending habits, we finally achieved accreditation in spring 2017 and saw an almost immediate impact. Inbox placement rates for Microsoft and Yahoo increased significantly, as did traffic to OnlineBingo.co.uk and our partners. Return Path Certification has become a critical competitive advantage and continues to allow us to assist our partners in the delivery of successful acquisition campaigns. You can read the full story of our experiences with the Certification Program here. 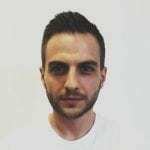 Phil is Acquisition Operations Manager at Lindar, focused on the growth of players and traffic to OnlineBingo.co.uk across various organic and paid marketing channels. Relaunched in 2016, OnlineBingo is a proprietary affiliate platform developed in-house at Lindar to deliver optimum experiences for visiting players and maximum exposure for commercial partners.